Museums are sometimes perceived as a leisure activity from a previous age – monolithic buildings filled with dusty old artefacts. They’re constantly competing for people’s precious time with every new activity that pops up. The reality is totally different – MOSI in Manchester is filled to the brim with amazing stuff. We just needed to give people a taste of it. 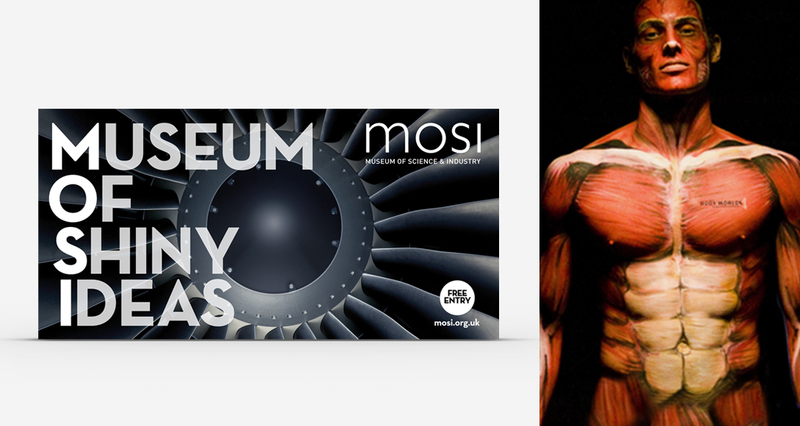 We worked with the team at MOSI to develop a communications approach that gives consumers a taste of what they’ll actually experience when they visit. It’s changed what people think of the museum and resulted in an unprecedented demand for tickets and the highest footfall levels seen.